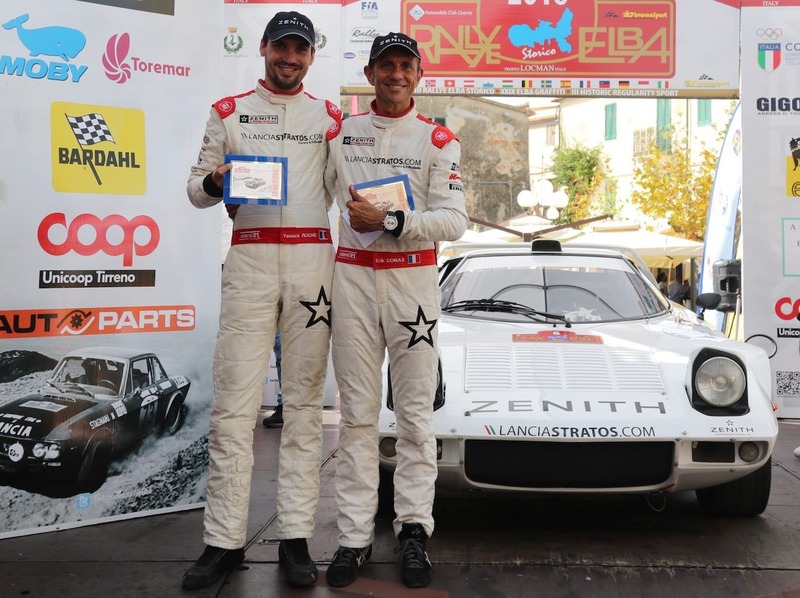 New great result with a 3rd place finish at Rally Elba Storico for Erik Comas and Yannick Roche with Zenith El Primero Stratos Team for their very first participation to one of the most difficult tarmac European rally. Indeed the slippery surface together with the heavy rain on day two have made it a tricky race, starting with two special stage on Thursday night closing only P9 against more modern many group B and group A cars and numerous Porsche. 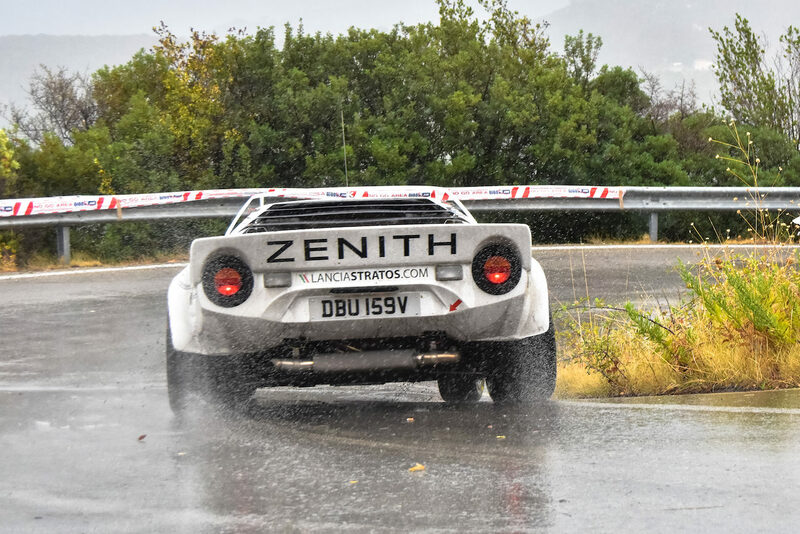 The second day was a full wet day not to say storms, the Stratos gaining only two positions. Numerous incidents occurred and one special stage almost cancelled due to many stones and branches on the road. 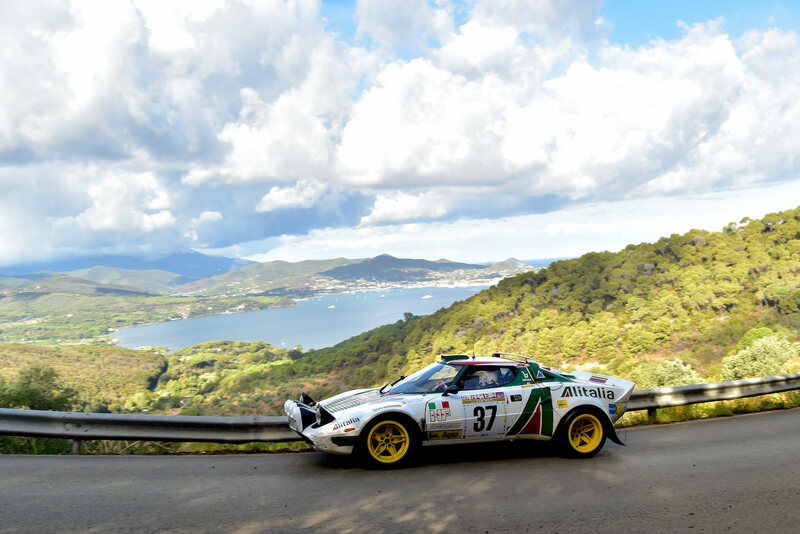 Final day was done under a nice weather, the Stratos gaining position until 5th then getting the 3rd final position at the ultimate special stage. Also excellent race for Claus Aulenbacher already present at www.worldstratosmeeting.com finishing the rally with his Stratos Alitalia position 36 of 56 finishers, despite a technical problem costing him 20 positions on day 2.